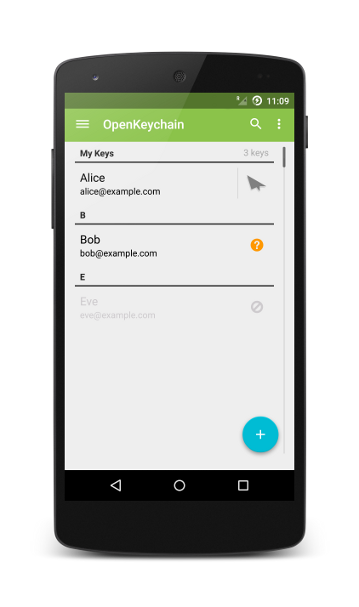 OpenKeychain primarily integrates with K-9 Mail to provide end-to-end encryption capabilities. Besides this, several other apps work with OpenKeychain to provide encryption. We are not actively participating in the development of each of these third-party apps. No security audits have been done by us and, thus, we cannot provide any security guarantees. Because OpenKeychain is Free Software, anyone can validate that the permissions are indeed only required for the listed features.